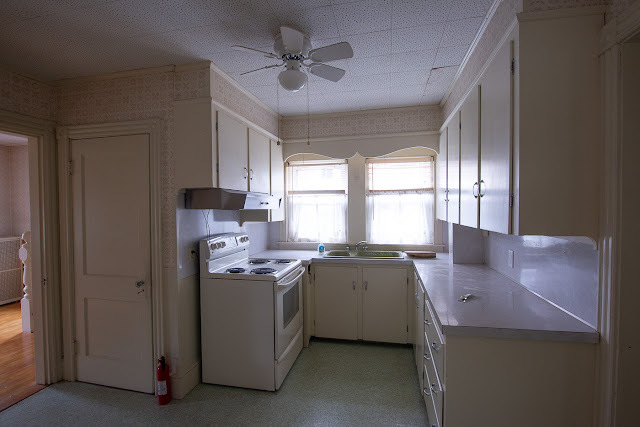 I'm thinking about going bold for this kitchen. 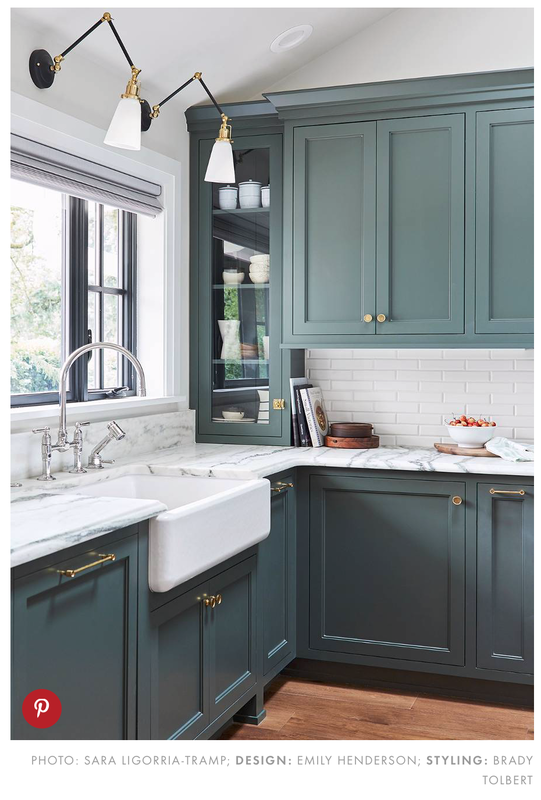 In the past, I've done a lot of white kitchens - or if I'm feeling very bold I'll do beige cabinetry. They're absolutely lovely, but it feels like time to do something different. 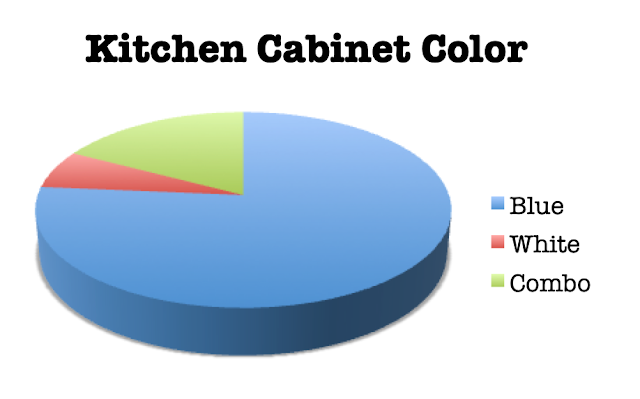 I'm thinking about blue kitchen cabinets. Not a pale, pastel blue - but something pretty bold. 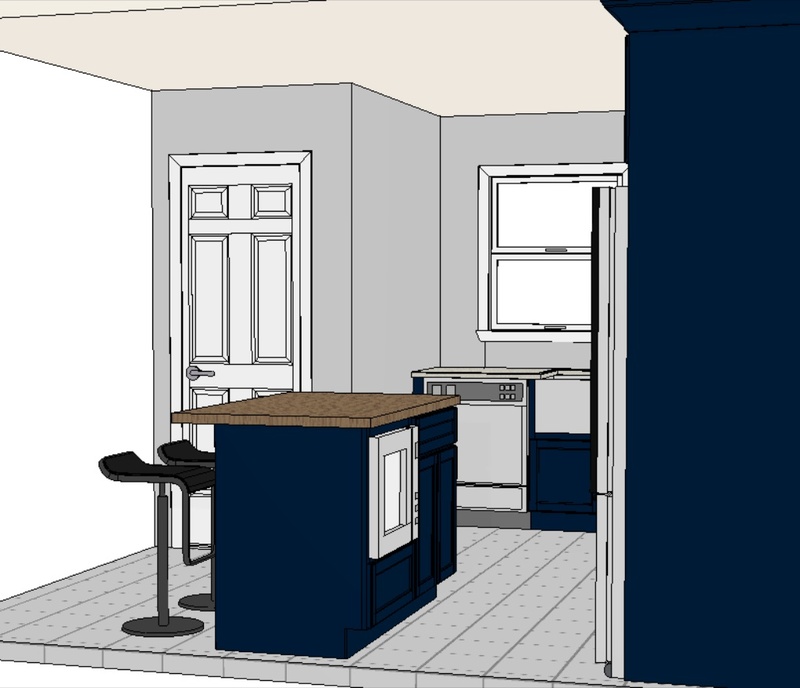 I'm starting to see a lot of 'moody blue' kitchens in the press and think they might be perfect in this house. We have a big, open floor plan and with the south/west facing windows, it's a nice bright space that could handle something dark. In fact, blue cabinets might help provide a nice grounding for the whole first floor. I like this one too! 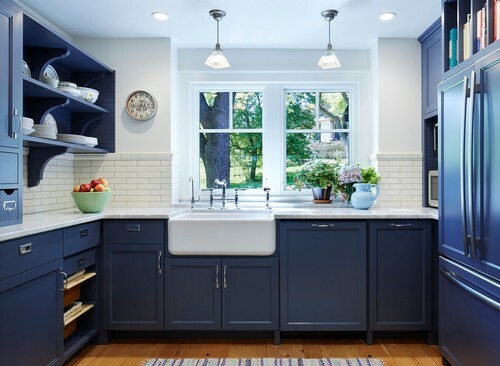 The moody blue cabinets with the simple subway tile is really striking. And the farmhouse sink looks fantastic! But it's still a bold choice. So I reached out to all our followers on Facebook and Instagram for their input. And I got a LOT of feedback! With well over a hundred responses, there was a very clear winner! Drum roll please - the winner is blue!! By a huge margin! So obviously I'm not the only one feeling bold out there. And in reality, when you have a home this close to the water, blue is always a good choice. It just doesn't go out of style. 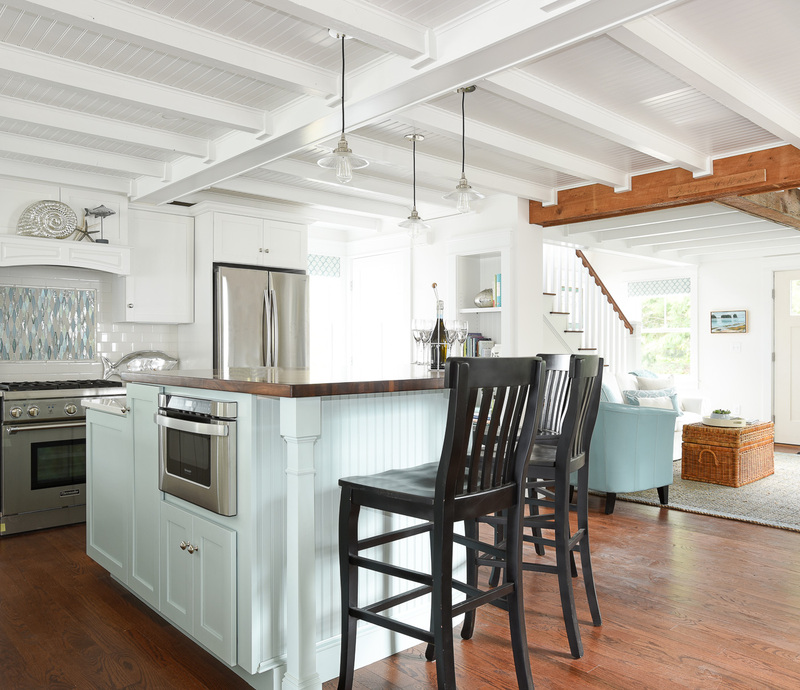 We did get quite a few suggestions for doing a combination - like white on the walls and a blue island. But we've been there - done that (albeit a pale blue)! This is a kitchen we did a couple of years ago with the mixed cabinetry, and it's gorgeous, but I want to try something completely different. 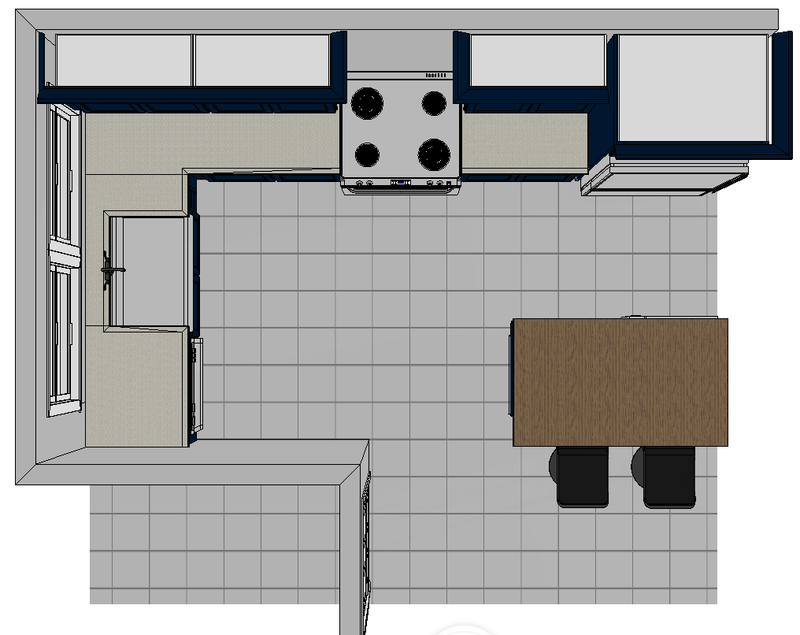 But before I get too carried away, let's talk about the design for our kitchen. Our starting point was a very tight 'U' shaped kitchen. This is great for a small apartment or a single-cook kitchen, but doesn't work as well for a family. Notice there isn't a dishwasher. Or a refrigerator - it was around the corner in the entryway. Yikes! I want to change all that! The sink stays in the same spot, but the other appliances go on the long side of the 'L'. We'll also add an island which will provide space for a couple of bar stools - and also room for the microwave. I always like to try and hide the microwave!! What else? Well, I want to do a farmhouse sink. And I'm thinking about a marble backsplash. The stove hood? I still haven't decided. Still so many decisions required!!! But this is already starting to feel like a nice, workable design! And finally, to pull off a dark blue kitchen, we need to have a room with a lot of light. 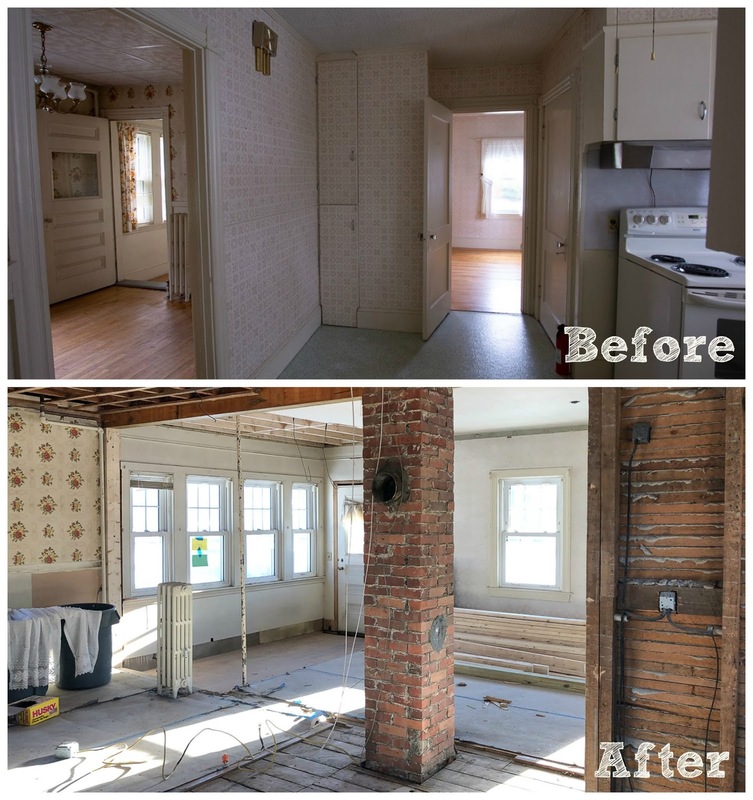 Thanks to removing the walls and inserting a new load-bearing beam, the whole living space is now flooded with sunshine all day long. 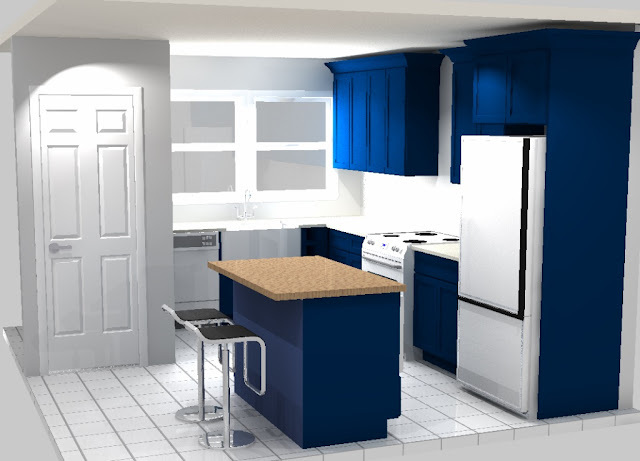 The blue kitchen will be nice and bright! Before - dark kitchen with 2 north facing windows. Now - light and bright!! Thanks so much for all your input. I've got to go get those cabinets ordered, so we can stay on schedule!